But I think the value of his pin wasn’t that it was a symbol of a guardian angel, but that the angel’s wing was broken. For at that time, he had been diagnosed with cancer. In some ways, he, himself, was like an angel with a damaged wing. He was wounded and diseased. He felt broken. I wonder if we all don’t feel that way a little, even if we have never been diagnosed with a life-threatening illness. At times, we all hurt. We experience losses. Sometimes loneliness feels disabling. 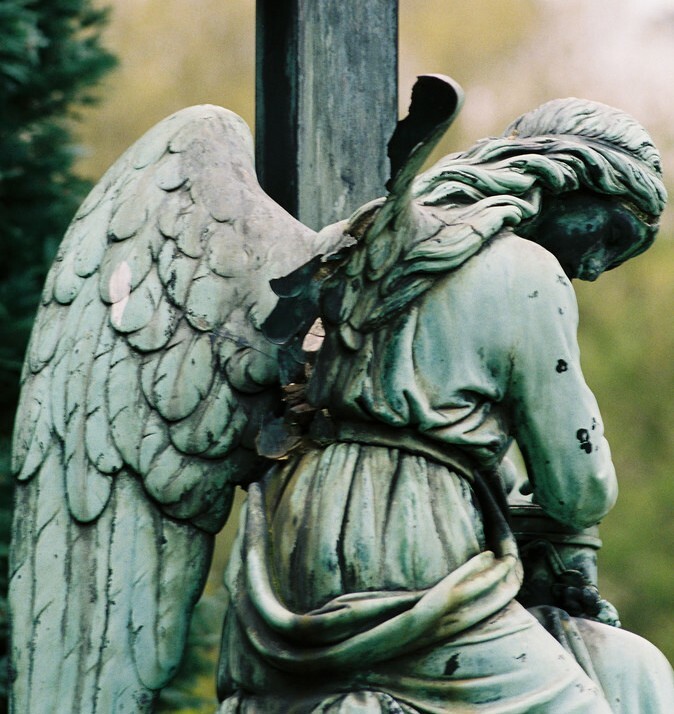 Like that angel, we are each broken in some way, even if our damage is interior and invisible to others. But there is a secret that angels with broken wings know: they realize they are still able to fly...by embracing each other. And broken humans, too, do best when hanging on to one another. They can go through unimaginably difficult times when they go it together. Two years after that Christmas, the man left this life behind while his family grieved. They felt most acutely that singular pain of loss and loneliness reserved for mourning loved ones. Remembering his angel with the damaged wing, they decided they would travel their path of grief by embracing each other, physically as much as emotionally. Perhaps by hanging on to one another, they reasoned, they could allow their own broken wings to heal. I watched them at the funeral - and afterward - embracing. And holding on. I knew then that somehow they would be all right and that someday each would fly again.